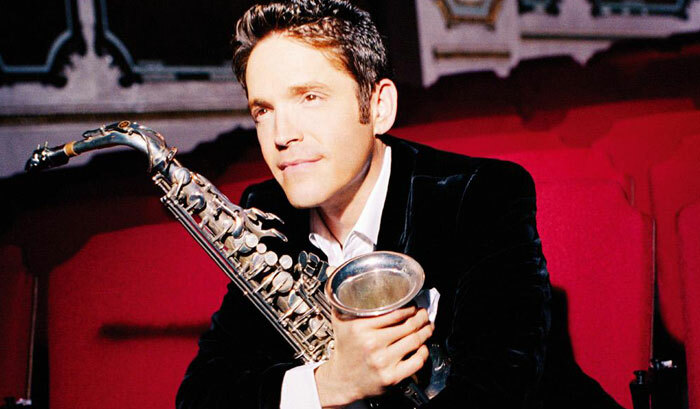 Saxophonist Dave Koz describes his latest album, Saxophonic, as an exploration of the many moods of the horn. "This album feels like an adventure to me, with the saxophone leading me into new territories," he says. "I'm blending some cool new beats with traditional jazz, adding some African stuff, and then it's off to Ibiza for that coolchill, smooth jazz sound. It's really a journey through different influences." The adaptability of the saxophone is uniquely suited to Koz's musical globetrekking. "That's one of the reasons I love playing this instrument," he says. "You can pretty much throw any style, format, or musical influence at the sax and it'll somehow find its way in. It's like the best party guest ever, always finding its way into the best parties." You don't always need it to be perfect--it's all about capturing a mood. The vast majority of people just want to be taken somewhere. 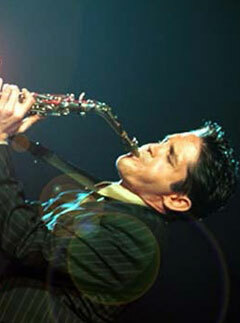 In addition to composing and recording, Koz has branched out into other aspects of the music business. "Over the last few years, I've gotten involved in a lot of other things I've really enjoyed," he says. "I host a morning radio show in LA and have a syndicated weekend show with about 100 national affiliates. Then I started a record company called rendezvous with a couple of partners, and I continue to do a lot of touring and personal appearances. But all these things surround the relationship I have with the horn." This relationship began as a casual flirtation. "I wasn't planning on being a professional musician," says Koz. "I just loved to play. I graduated from UCLA as a communications major and expected to have a regular job. But what job I never knew, because I never got there." Soon after college, Koz's musical destiny became clear. "I got some great gigs, like with [vocalist] Bobby Caldwell," he recalls. "He really gave me an opportunity to shine in his band. He said, 'Here's the stage-do whatever you want.' And I realized, 'Hey, I really like this, I really like to perform!'" Another influential early gig was with composer/keyboardist Jeff Lorber. "He gave me complete latitude to do my thing," says Koz. "He also helped me write and produce songs that got me my first record deal. So after those experiences I thought, 'maybe there's a career here after all.'" Koz records and performs with Yamaha saxophones. "I've been a fan of their horns for a long time," he says. "Besides my Yamaha 62 silver alto and my two tenors, I have the most killer soprano saxophone. It's a straight 62 in silver, and it's just beautiful to record. I also have a great Yamaha 62 baritone, which I use at least once on each album. I would not be playing those horns if I didn't feel like they're giving me everything I could get out of a saxophone. I've never met a sax player who isn't trying to improve something- their setup, their reeds, their mouthpiece, their horns. But I have not found anything that beats these instruments." How does he decide which horn to use for which song? "There's something in the writing process," says Koz. "It might have something to do with the key, the range of the melody, or the way I play on each of the different instruments. A certain song will call out for one horn or another. It's an intuitive thing. For example, to me the soprano has a joyful, free sound. It's really sweet and pure, like a young person just starting out in life, and it lends itself to happy songs. The alto is kind of like the 30-year-old person who needs to prove he's doing something- everything is very earnest, there's a lot of conviction and strength behind the sound. And the tenor, for me, is when you get past the point where any of that matters. You're beyond it, and you're just doing your thing. kind of like when a person's in their 60s or 70s, and they just know things. It's mired in sophistication." Choosing the right horn for the job is only the beginning, though. "It's funny," muses Koz. "So much time and energy is spent on getting a great sound, using the right mic, and getting the perfect performance. But sometimes if you play something over and over trying to get that perfect take, it just gets worse. It might be technically improved, but the emotion behind it seems to suffer. I've learned over the years you don't always need it to be perfect-it's all about capturing a mood. The vast majority of people just want to be taken somewhere."